The Great Room is one of the largest common spaces not only in an inn but a larger space than you will find in a hotel with hundreds of rooms as well. This room where guests will check in and begin their tour is a massive space, and has a game table and chairs, two conversational couches and chairs, another 4 wing back chairs and table and two leather reclining chairs. 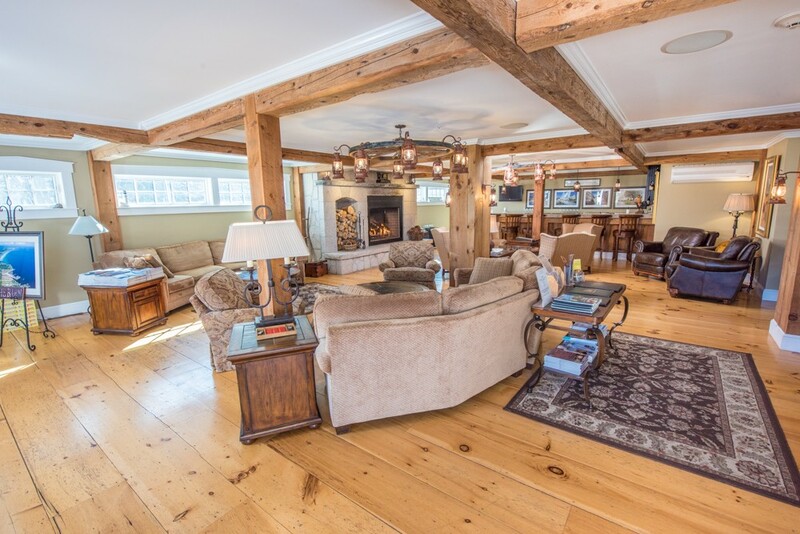 The room is all decorated in barn motif, we had handcrafted wagon wheel chandeliers made to give it that period feel, with old fashion sconces, a coffered ceiling was designed using the original vertical 45 foot long beams that held up the barn from basement to loft. 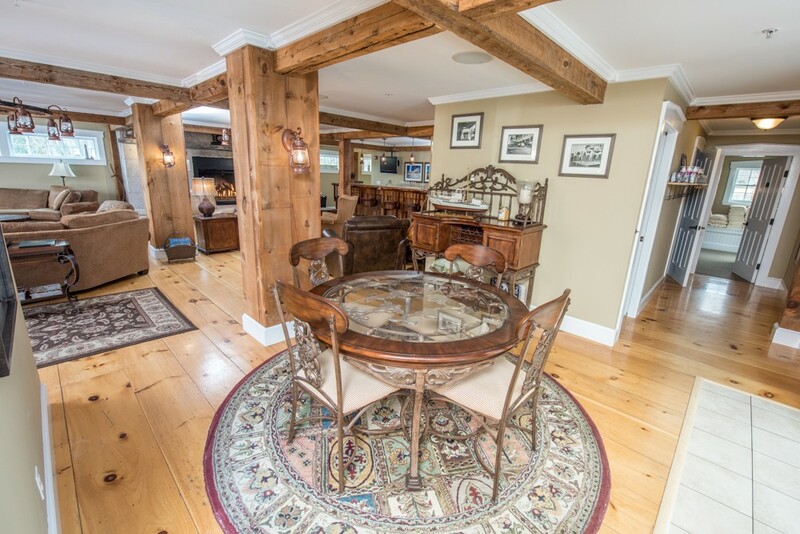 No detail was overlooked with crown moldings, hand laid and square nailed specially milled Eastern White Pine floors, all with radiant heat below. All the cow stall windows were replaced and set in the original spaces to keep that barn feel. 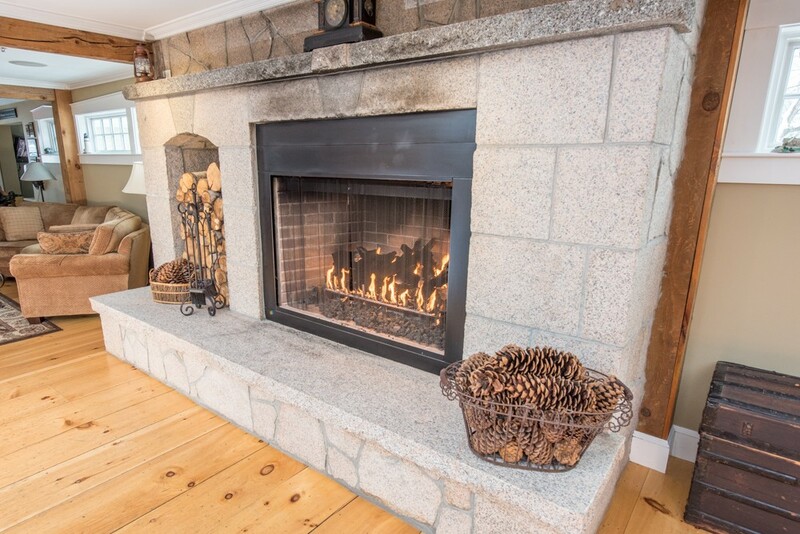 But as you walk in you see the focal point the most stunning pink granite fire place, all from local granite in Wells Maine. 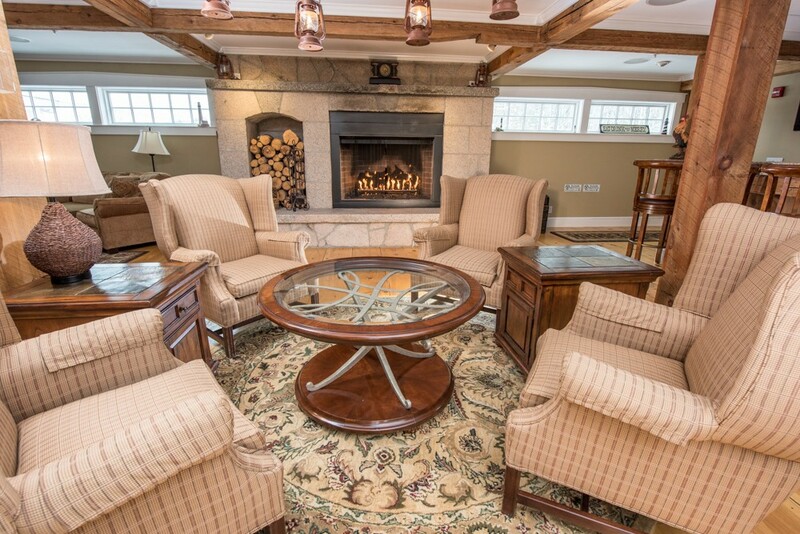 This 12 foot fire place with its 2000 pound hearth of granite is in many couples photos as they got married in front of it at the Gazebo Inn Ogunquit with our elopement package. 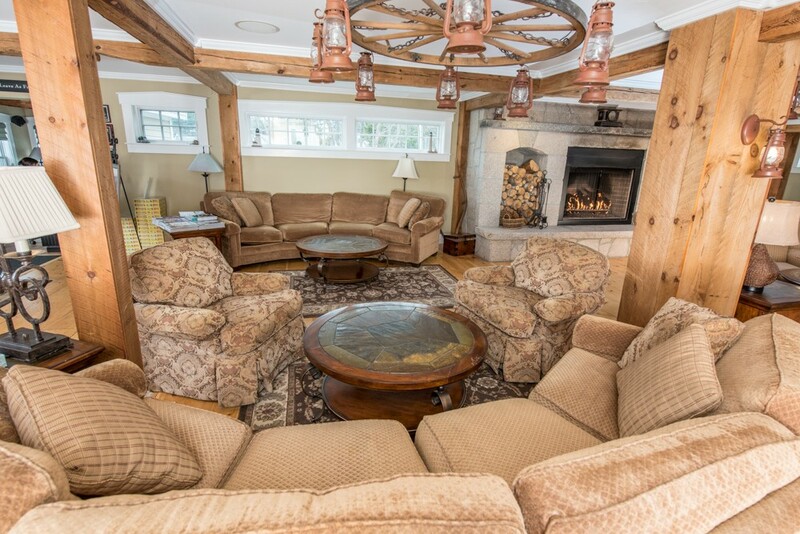 The great room is available to guests any time of day, room keys work to get you in.